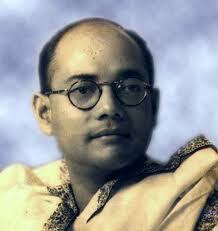 In October 1943 Bose established the Provisional Government of Azad Hind (Free India). The provisional government immediately declared war on the United States and Britain, and in January it located its capital in Japanese-occupied Yangon (Rangoon), Burma. Meanwhile, Bose worked diligently to promote harmony between Hindus, Muslims, and Sikhs within his army and continued his radio broadcasts to India. n early 1944 Bose induced the Japanese to invade India. Japanese and INA forces entered India in March, advancing to the outskirts of Imphal in the northeast. There, they besieged the British garrison until the beginning of the monsoon rains in June. The rainy season prevented further attack and gave the British time to reinforce their positions, and the British were able to turn back the invading army. In May 1945 the INA surrendered in Yangon. Bose escaped, making his way eventually to Japanese-occupied Saigon (now Ho Chi Minh City, Vietnam). When Japan announced its surrender in August, Bose fled Southeast Asia. n the winter of 1945 the British put captured INA officers on trial for treason. Prominent Indian nationalist lawyers, including the leader of the Congress at that time, Jawaharlal Nehru, eloquently defended the accused. The INA officers became public heroes in India and received suspended sentences. After the trial, some Indian troops serving in the British military mutinied, further weakening Britain's hold on India. In 1947, within two years of Bose's death, India won its independence from Britain.